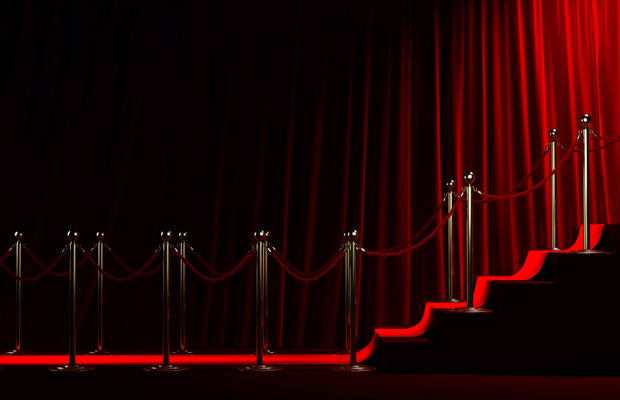 From the Producers Guild of America awards to the Golden Globes to the Oscars, film award season is upon us. So too are the anniversaries of two key civil rights milestones: the Selma march—depicted in the critically acclaimed film of the same name—and the 1965 signing of the Voting Rights Act. While “Selma” received an Oscar nomination for Best Picture, it didn’t go without notice that the Academy’s 20 acting nominations went to a group with no representation from communities of color. This omission sparked a wave of criticism of the Academy and its process and even prompted Academy president Cheryl Boone Isaacs to call for greater diversity “among all our nominees in all of our categories.” It also highlights a history of underrepresentation and under-acknowledgement of people of color in Hollywood. The irony of this glaring oversight is the fact that “Selma,” one of the most highly acclaimed films of this award season, depicts the fight for voting rights and the battle to eradicate barriers to equal protection and full participation in American democracy—a struggle that still continues. Across the country, we are in the midst of a new onslaught of state laws designed to make it more difficult to vote. Facially neutral and making the specious claim of targeting an epidemic of voter fraud, these new laws have a disproportionate affect on people of color. These attacks on voting rights have reached a fever pitch in the wake of the 2013 U.S. Supreme Court ruling in Shelby County v. Holder, which overturned Section 5 of the Voting Rights Act and eliminated preclearance requirements for many states’ voting laws. Prior to the Shelby decision, states and jurisdictions with a significant history of voter discrimination were required to submit all changes to voting and election law to the U.S. Justice Department for pre-approval prior to enacting those changes. Nine entire states, as well as jurisdictions in six additional states, were covered by Section 5 preclearance requirements. Rather than sparking a national, bipartisan effort to restore voting protections in the wake of the Shelby decision, too many Republicans are in a race-to-the-bottom to further disenfranchise voters. In 2014 alone, at least 83 restrictive voting bills were introduced in 29 states. This regressive wave of voter suppression efforts targets and most affects voters in the same communities already fighting for inclusion in other aspects of life: young people, low-income families, and people of color. This is a movie we have seen before. Despite plot twists—such as poll taxes, literacy tests, voter ID, and contracted early voting windows—and a changing cast of characters, the script remains the same: a concerted, coordinated effort to suppress the basic right to cast a vote and have it counted. One might say it’s as though some conservatives are vying for the Academy Awards of Voter Suppression. In this case, think the Koch brothers instead of the Coen brothers. This issue brief examines the people and organizations that in recent years have stood out for creating new obstacles to voting. The approach in this document is cheeky by design; but make no mistake, the implications of the awardee’s efforts to make it more difficult to vote are exceptionally serious. Best Director is awarded to the person, or people, who define and orchestrate the overall vision of the performance to achieve the ultimate goal of voter suppression. As key bankrollers of the right-wing’s infrastructure—from political action committees and think tanks to lobbying efforts and individual candidate campaigns—the Koch brothers and their convoluted network of affiliated organizations have an enormous impact on the state of play for voting rights. Key in the Koch brothers’ effort to suppress the vote is the American Legislative Exchange Council, or ALEC. While it is impossible to know the full extent of funding that the Kochs have provided to ALEC, the amount most likely exceeds $1 million. A Center for American Progress investigative report has revealed that ALEC is in fact drafting many of the anti-voter laws introduced in states. For instance, in 2009, ALEC’s public safety and elections task force drafted a model “voter ID bill” drawn from legislation in Georgia and Indiana. In 2011 and 2012, lawmakers in 37 states proposed 62 bills related to voting and photo ID—half of which were sponsored by either ALEC members or ALEC conference attendees. ALEC is not the only way that Koch money finds its way into the voting debate. Americans for Prosperity, or AFP, another Koch-backed entity, has been responsible for misleading voter mailings in at least four states. Their tactics include absentee ballot applications with deadlines for submission that fall after the election and attempts to purge the voter rolls via “caging”—or sending mail to a list of voters and then attempting to purge any voters from the rolls whose mail is returned as undeliverable. AFP has also partnered with True the Vote, an organization that trains volunteers to police polling places for voting irregularities, including enforcement of voter ID laws. According to The Nation, True the Vote’s elections coordinator Bill Ouren describes the recruits job as making voters feel like “they’re driving and seeing the police follow you.” True the Vote had trainees in 35 states in 2012 with a stated goal of 1 million volunteers nationally. The Koch brothers spent $100 million through their network of affiliated organizations in the 2014 election cycle, and they have pledged another $889 million to defeat the Democratic presidential nominee in 2016. Much of this money will go toward political advertising: 1 in 10 political ads seen in the 2014 election cycle was paid for by groups with Koch ties. The Koch brothers and their network of organizations such as AFP also continue the effort to push anti-voter legislation. For building, funding, and sustaining such a vast network of conservative organizations engaging in anti-voter activity, Charles and David Koch win the distinction of Best Director. Best Picture is awarded to the best collective performance to suppress the vote. Former North Carolina GOP precinct committeeman Don Yelton spoke candidly about the law’s intention, saying, “if it hurts a bunch of lazy blacks that want the government to give them everything, so be it.” Just one day later, Yelton resigned his post. Off-the-cuff racism aside, the North Carolina voting law affects all North Carolinians wishing to cast a vote and have it counted, but it disproportionately affects the state’s African American voters. According to The Nation, 33 percent of the 96,000 North Carolinians who took advantage of same-day registration in 2012 were African American. That same year, 56 percent of North Carolina voters cast an early ballot with 28 percent of those early votes cast by African American voters. In 2012, 900,000 voters were cast during the now eliminated first week of early voting, which represented 35 percent of the total vote that year. The Brennan Center for Justice indicates that the number of voters affected by these restrictions exceeds the very narrow margin—roughly 48,000 votes—by which Thom Tillis (R), the former North Carolina state house speaker, defeated incumbent Sen. Kay Hagan (D) in the 2014 midterm election. The impact of North Carolina’s regressive voting law will only be greater when the additional strict voter ID requirements go into effect in 2016. It has been estimated that 318,000 registered North Carolina voters lack the ID required to cast a ballot under the new requirements, 34 percent of whom are African American. For this exceptionally aggressive effort to suppress the vote, North Carolina receives the award for Best Picture. Best Actor is awarded to the best performance by a leading man to suppress the vote. In his four years as Wisconsin’s governor, Scott Walker (R) has championed a sustained, multi-faceted effort to limit the ability of Wisconsin voters to cast their ballot through both strict voter ID requirements and narrowing the early-voting window. In 2011, Gov. Walker signed into law a bill mandating photo ID for voters, as well as a separate bill cutting the early-voting window from three weeks and two weekends to two weeks and one weekend. Gov. Walker and the state defended the voter ID bill in both circuit court and the Wisconsin Supreme Court, but the law was ultimately blocked in 2012 as an “unconstitutional burden.” In 2013 and 2014, Walker and the state again defended the law in both state and federal court and finally before the U.S. Supreme Court, which ultimately blocked the law’s implementation just weeks before the 2014 election. Along the way, Gov. Walker threatened to call a special legislative session to modify the law should it be struck down in order to ensure it took effect by Election Day. Wisconsin’s voter ID law is once again before the U.S. Supreme Court, with Wisconsin’s response to the Frank v. Walker suit pending. Undeterred, in 2014, Gov. Walker signed a law that limited early voting hours to weekdays between 8 a.m. and 7 p.m. and eliminated the ability of Milwaukee and Madison—where roughly 15 percent of Wisconsin’s total population and nearly half of the state’s people of color live—to offer extended voting hours to meet voter demand. It should be noted that Gov. Walker’s 2014 early voting attack came on the heels of his 2011 cuts to early voting, which, despite his best effort, saw more than 20 percent of votes in the 2012 election come from early ballots. Approximately 7,000 of these votes came from Madison and Milwaukee alone. Moreover, should the photo ID bill supported by Gov. Walker be implemented, roughly 300,000 Wisconsin voters—largely Hispanic and African American voters—will lack the required documentation to cast a ballot. Both of these moves—cutting voting and instituting photo ID—track national voter suppression trends. Eleven states have passed new voter ID laws since 2011. According to an analysis from the Government Accountability Office, or GAO, this demonstrates a suppressing effect on turnout, particularly among young, newly registered, and African American voters. Similarly, there is a national movement to cut early-voting opportunities, particularly among states that have seen recent upticks in minority early voting such as Florida, Georgia, Nebraska, Tennessee, West Virginia, and Wisconsin. For being on the frontline of voter suppression and for his unrelenting performance to undermine voting, which is the bedrock of democracy, Gov. Scott Walker receives the award for Best Actor in a leading role. Best Actress is awarded to the best performance by a leading woman to suppress the vote. Since her election to South Carolina governor in 2011, Gov. Nikki Haley (R) has been a strong proponent of photo ID requirements, which is part of a national trend to enact anti-voter laws before a new federal fix can be found in states previously covered by Voting Rights Act preclearance requirements. As she signed the state’s photo ID law in 2011, Gov. Haley stated, “If you can show a picture to get on an airplane, you should be able to show a picture ID to (vote),” according to The State. In December 2011, the U.S. Justice Department rejected the law as discriminatory under preclearance requirements that were still in effect prior to the Shelby ruling—the first time in nearly 20 years that the federal government had blocked a voter identification law. In January 2012, South Carolina sued the Justice Department for interfering with the law, and a three-judge panel later agreed to approve the law for implementation in 2013 with the addition of a “reasonable impediment” provision. Following the Shelby decision, South Carolina moved forward with implementing the voter ID law without “being required to jump through the extraordinary hoops demanded by federal bureaucracy,” as South Carolina’s Attorney General Alan Wilson put it at the time. When Gov. Haley signed the photo ID law, roughly 178,000 South Carolina voters lacked driver’s licenses or other photo identification issued by the state department of motor vehicles. An Associated Press analysis found this new requirement particularly affected African American voters—including 10 precincts in which almost every voter affected comes from a community of color. The law makes provisions for eligible voters to receive a free voter ID card; however, voting advocates say providing the required documentation is too often a “long, complicated, costly process.” Of states previously covered by Voting Rights Act preclearance requirements, seven have announced new voter restrictions since the Supreme Court’s Shelby decision. For her efforts to block the ballot box by championing voter ID, Gov. Nikki Haley receives the award for Best Actress. Best Actor in a Supporting Role is awarded to the best male performance to change electoral rules to support others leading the charge for voter suppression. Kansas Secretary of State Kris Kobach leapt onto the national stage in 2011 by creating Kansas’ two-tier voting system—with different rules for those registering with state and federal forms. He proceeded to defend both Kansas’ system and Arizona’s similar system despite judicial rebuke and confusion surrounding the new voting system’s implementation. Basing his 2011 Safe and Fair Elections Act on debunked claims of noncitizen voting, Sec. Kobach’s new law included a requirement to prove U.S. citizenship prior to voting. The law was to be implemented in two steps: strict voter ID in 2012 and additional proof of citizenship requirements in 2013. In June 2013, however, the U.S. Supreme Court ruled against similar citizenship requirements in Arizona, with a 7–2 ruling that a state cannot require “a federal form applicant to submit information beyond that required by the form itself.” Arguing that this decision applied only to federal elections, both Kansas and Arizona moved forward with rules to create a two-tiered system of voting: voters who qualify to vote only in federal elections and voters who—having proved their citizenship to the satisfaction of Kobach and the state of Kansas—are eligible to vote in state and local elections as well. After receiving a favorable ruling in 2014 from a U.S. district judge, both Arizona and Kansas conducted their elections under this system. Days after the election, however, a federal Court of Appeals overturned that decision—a ruling Kobach has vowed to appeal. Some 17,000 eligible Kansans—one-third of all total registration applicants—were blocked from registering to vote in 2013, the first year of the law’s implementation, because of difficulties transferring citizenship information from state department of motor vehicles to election administration officials. Even with additional time to streamline implementation, more than 24,000 registrants were “in suspense” just weeks before the 2014 election. Those most affected by the new voting laws were young and low-income voters, who are less likely to have access to the documents they need to prove their status. In 2014, Kansas Gov. Scott Brownback (R) faced one of the most hotly contested gubernatorial elections in the country, and a small number of disenfranchised voters had the potential to tip the balance of that election. Indeed, nearly 500 voters may have been blocked in 2014 due to these new rules, and many more simply did not go to the polls because they did not have an opportunity to produce proof of citizenship prior to Election Day. The two-tiered voting systems in Kansas and Arizona are not, however, Sec. Kobach’s only claim to fame: as the author of Arizona’s infamous anti-immigrant legislation, S.B. 1070, he created model legislation for ALEC to deploy to other states. For taking his immigration scare tactics to the national stage and changing the rules of the game to support Gov. Brownback’s re-election effort, Sec. Kris Kobach receives the award for Best Supporting Actor. Best Actress in a Supporting Role is awarded to the best female performance by a woman to change electoral rules to support others leading the charge for voter suppression. Although the fight to enact voter ID in Texas began before Nandita Berry (R) took office as Texas secretary of state in 2014, the embattled law found a new champion in Berry. With her help, the Texas law, widely considered the most restrictive voter ID requirement in the country, successfully navigated its final court battles before the 2014 general election. In 2012, the year after then-Gov. Rick Perry (R) signed the state’s voter ID regulations into law, a three-judge panel unanimously rejected it as “the most stringent in the country,” saying the law would place “strict, unforgiving burdens” on minority voters and low-income voters. Mere hours after the Shelby decision, however, Texas rushed to enact the law, which could no longer be blocked under preclearance requirements. When Sec. Berry took office in 2014, she took on the task of defending the law even as civil rights groups and the U.S. Department of Justice brought suit in federal court, naming Berry as a defendant. A federal judge blocked the voter ID law in October 2014. Shortly before the general election, however, the U.S. Supreme Court overturned the ruling in an unsigned decision, which, while not ruling on the merits of the law itself, allowed Berry to proceed with its implementation. The Justice Department has indicated the case will likely return to the U.S. Supreme Court after a ruling from the 5th Circuit Court of Appeals. A U.S. district judge found in 2014 that more than 608,000 registered Texas voters lacked the required ID, a burden that disproportionately affects communities of color: African American voters are 305 percent more likely than white voters to lack ID, while Hispanic voters are 195 percent more likely to be unable to produce the required documentation. The new restrictive requirements most likely contributed to the fact that from 2010 to 2014, turnout in Texas dropped 5 percentage points. Of states rushing to enact new anti-voter legislation in the wake of the Shelby decision, Texas led the charge by pushing through enactment of voter ID requirements just hours after the Supreme Court handed down its decision. For playing a key role in ensuring that Texas’ voter ID law successfully navigated its final court battles in advance of the 2014 election, Secretary of State Nandita Berry receives the award for Best Actress in a Supporting Role. Throughout her time as New Mexico secretary of state, Dianna Duran has stoked fear of voter fraud in support of her own conservative agenda. From last-minute attempts to purge the voter roles to attacking an opponent with the story of a pet registering to vote, Duran’s claims have constantly been proven outlandish, overblown, and extreme. In 2011, Duran alleged 64,000 cases of voter fraud in New Mexico—5 percent of the state’s total registered voters—turning the names of those 64,000 almost entirely innocent New Mexican voters over to law enforcement for investigation. In 2012, three months prior to Election Day, Duran mailed registration confirmation postcards to 177,000 voters, 14 percent of the state’s total registrants, in an attempt to remove inactive voters from the rolls. However, active and regular voters were among those who received the confusing mailing. Duran doubled down on claims of voter fraud in her 2014 re-election campaign and, in order to attack her opponent for failing to support voter ID laws, she cited a 2012 story about a man registering his dog to vote. The man in question was later identified as the husband of a Republican candidate for state senate, who apologized once the relationship was revealed. In January 2015, Duran announced she would not support a bipartisan voter ID bill because she favors a stricter bill requiring photo identification to cast a ballot. Not only did an investigation of those 64,000 potentially fraudulent registrants find Duran “completely right, 0.0296875 percent of the time,” the claims made in her campaign ad were overblown and fraudulent. Sadly, this is nothing new for proponents of voter ID. As noted in a Center for American Progress investigative report, “stoking fears about voter fraud has been part and parcel of many Republican campaigns around the country in recent elections.” Sec. Duran has not only followed the script—she produced the trailer. For her efforts to champion dubious claims in overblown and fraudulent ads, New Mexico Sec. of State Dianna Duran receives the award for Best Cinematography. Best Original Screenplay is awarded to the author or thought-leader perpetuating the myth of widespread voter fraud in support of conservative voter suppression attempts. Will’s ignoring the very real debate over access to the ballot box is, as Atlantic columnist Andrew Cohen writes, “offensive to every American whose right to vote was jeopardized” and ignores the “national debate over how those [voting rights] battles ought to be resolved.” Will, as a conservative thought-leader, has inspired a whole class of conservative writers: from Michelle Malkin writing about “the Left’s voter fraud whitewash” to Glenn Beck asking “Are voter ID laws racist?”—to which Beck answers no. For using his position of influence to parrot Koch-backed talking points, George Will receives the award for Best Original Screenplay. Best Costume Design is awarded to the person who provided the finishing touches to a performance— sewing it all together—to effectively suppress the vote. After being caught lamenting Democratic efforts to register people of color to vote, Georgia Secretary of State Brian Kemp executed the most blatant voter purge in recent memory: He simply failed to process thousands of voter registration forms, largely from minority voters in Democratic-leaning areas of the state. In 2014, community organizers submitted more than 100,00 new voter registration forms in advance of the midterm election. By August, however, roughly 40,000 of those new registrants—nearly all of them people of color—were not listed in the official voter database. Rather than meeting with organizers of the voter registration project to discuss what may have gone awry, Sec. Kemp responded by accusing the organizers, New Georgia Project, of submitting fraudulent registrations; however, just 25 confirmed forgeries were found among the 100,000 submissions. New Georgia Project and the NAACP went to court to force Kemp to process the registrations, but a Georgia judge dismissed the suit just one week before the election. Unsure of their registration status—despite having submitted forms months earlier—many Georgia voters were forced to cast a provisional ballot. Compacting the problem, the secretary of state’s website—which voters use to confirm their status and locate their polling place—experienced technical difficulties for much of Election Day morning. Some voters were directed to polling places as far as 35 miles away, and there were reports of long lines across the state. This voter confusion is even more troubling given that, just weeks before the election, Georgia’s U.S. Senate race was considered a “statistical dead heat.” During the 2014 election, 44 percent of Georgia voters, largely from communities of color, took advantage of early voting to avoid potential Election Day issues—and yet the option to vote early is under attack. In February 2015, Republicans in the Georgia House of Representatives advanced a bill to mandate “uniform” early voting hours across the state, cutting the early vote window from its current maximum of 21 days to just 12 days and mandating that counties allow no more than four hours of weekend voting. Kemp has yet to speak out against this. For not processing thousands of voter registrations as part of efforts to seek new avenues to remove voters from the rolls, Secretary Brian Kemp receives the award for Best Costume Design. This national wave of voter suppression has been spearheaded by conservative elected officials, justified by the movement’s thought-leaders, and bankrolled by the Koch brothers and their shadowy network of allied organizations. In short, the awardees are leading the charge to make it more difficult for young people, low-income families, and people of color to vote across the country. They rely on rhetoric about preserving election integrity, when, as Mother Jones reports, “UFO sightings are more common than voter fraud.” They waste millions of taxpayer dollars pursuing fruitless investigations and costly court cases and ignore the very real impact these barriers to voting have on those who simply want to exercise a basic right: to cast a vote and have it counted. Lauren Harmon is the Voting Campaign Manager at American Progress. Sarah Baron is the State Advocacy Coordinator for American Progress Action.